ooooo d88888D   .d888b. .d888b. dD       ooooo   ooooo  .d8b. 8P~~~~ VP  d8'   VP  `8D VP  `8D   d8'      8P~~~~  8P~~~~ .8P `8. 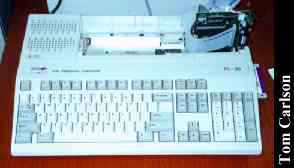 Click here to view all comments for the Amstrad PC-20 and to leave your own.